And having been warned in a dream not to return to Herod, the three Wise Men left for their own country in another vehicle. 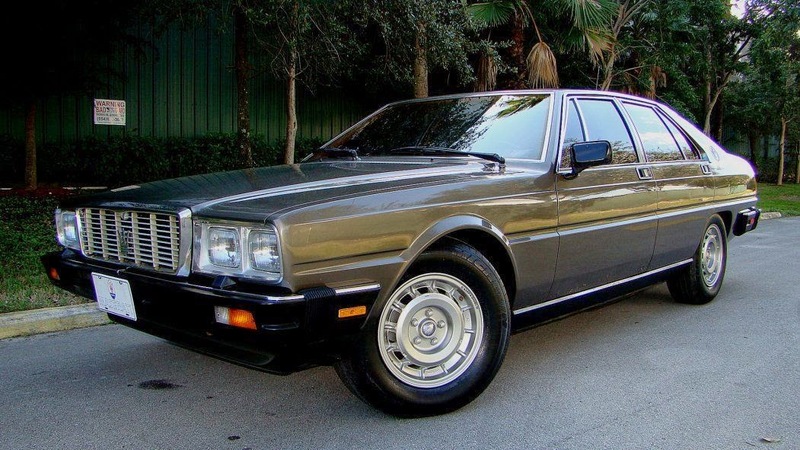 It was this 1982 Maserati Quattroporte bidding for $6,975 here on eBay located in Pompano Beach, FL. This feature concludes DT's Epiphany Special. The four Gospels don't do a good job of describing the three Magi, but tradition has it that they were sheiks or kings who traveled from Arabia, Persia, and India. What kind of vehicle would a group of Persian/Arab/Indian elite use to return to their homeland and avoid import/export fines from that despicable King Herod? Yeah. A Maserati. Happy Epiphany to all, and be prepared for tomorrow's Festival of Seven Herbs (Nanakusa no sekku)! The Magi wisely held on to their spare fourth gift, a Costco-sized bottle of Armor All, and used it on their ride home. By the looks of things, It appears the wise men may have parked in the dead sea for a rather long time before heading home. If I remember the gospel correctly the three wise men left in a Mazda Miata, a Fiat Barchetta, and a BMW Z3. They only had £3,500 to spend per car. And good luck finding a big hunk of American iron in the East for that kind of money. I'm referring of course to Top Gear and their Three Wisemen Middle East Special, in which they were challenged to drive from Iraq to Bethlehem, Israel. Curiously, (and entertainingly) James May thought it would be appropriate to festoon his Z3 with the decorations of a German scout car as they attempted to sneak quietly across Syria and into Israel. Israelis just love seeing tourists in Nazi war-wagon tribute cars trying to sneak up on their border from Syria. I'm sure BMW appreciated the nostalgia as well. Basil Fawlty (whispering): "don't mention the war!" Dr.D bonus points for using the word festoon! This thing is some kinda perforated. Or HOLEY keeping with the theme. 16k miles and it needs a new roof skin (or a patch job) and a whole bunch of small pactches. Or at this price fill the thing full of bondo and a cheap jet black paint job and run it till the rust makes another attempt on its life. Remove the engine and trans and stick it in a fiero and drive the everloving crap out of it.